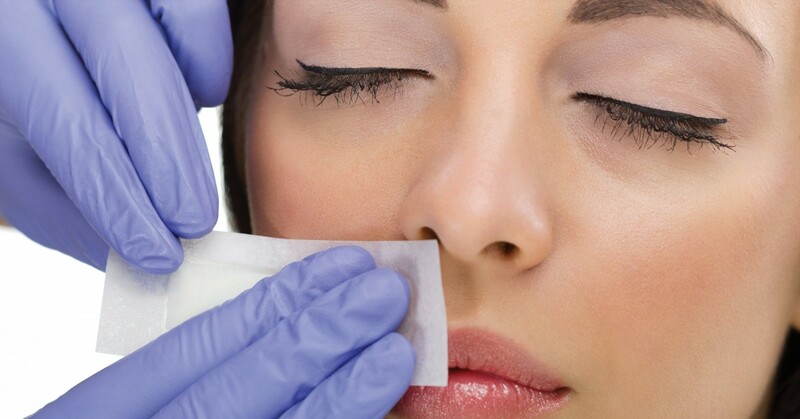 Waxing is one of the most popular and effective hair removal methods used today, and both men and women can benefit from a professional waxing service. As opposed to shaving, waxing eliminates unwanted hair quickly, removing the entire hair follicle for soft, smooth skin. Waxing results also last far longer than other methods of hair removal, and without painful cuts, razor burn, or ingrown hairs. Book an appointment at our Wilmette or Chicago waxing salon today, and be sure to follow these waxing preparation and aftercare tips! Grow it out. Waxing only works if there is enough hair for the wax to grab onto, and our waxing specialists advise that you let your hair grow 0.5 – 1cm for best results. Then, we’ll schedule additional appointments roughly every three weeks, when the hair has grown out again. Gently exfoliate. Exfoliation is the key to preventing ingrown hairs, as it opens up the hair follicles and allows the hair to emerge more evenly. To ensure that all of your unwanted hair has emerged, exfoliate with a gentle scrub one or two times in the week leading up to your professional wax. Don’t moisturize. On the day of your waxing appointment, refrain from using any kind of moisturizer on the area that will be waxed, as this can prevent the wax from adhering to the hair and removing it. Avoid tanning. Professional body wax can ruin spray tans, lifting the color from your skin along with the hair. If you’re getting ready for a vacation or special event, wait to get your airbrush tan until a day or two after your waxing appointment. Don’t sweat. Excess sweat and friction can clog the pores and increase your body temperature, leading to irritation on freshly waxed skin. Give your skin a break and refrain from exercising or using saunas, pools, hot tubs, or even taking a hot shower for one to two days after your appointment. Don’t sunbathe. Waxing can also cause irritation on newly tanned or sunburned skin, so refrain from laying out by the pool or hitting the tanning bed for 24 hours after your waxing appointment. Avoid skin products. Certain skin products can increase skin sensitivity and irritation after your wax, so it’s best to avoid deodorant, makeup, exfoliants, moisturizers, and perfumes for 24 hours after your appointment. Don’t shave. Though it may be tempting to shave in between waxing appointments, this interrupts the hair growth cycle and stimulates hair growth. At Celebrity Skin Couture Air Tan, we offer professional waxing services for men and women, including Brazilian waxing, bikini waxing, back waxing, eyebrow waxing, leg waxing, underarm waxing, and more. Click here for a list of our waxing services, or contact our waxing salon in Chicago or Wilmette to book an appointment!